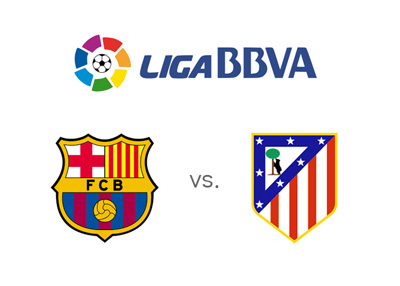 The current number one and number two in Spanish football, Barcelona and Atletico Madrid, are meeting this Saturday at Camp Nou. 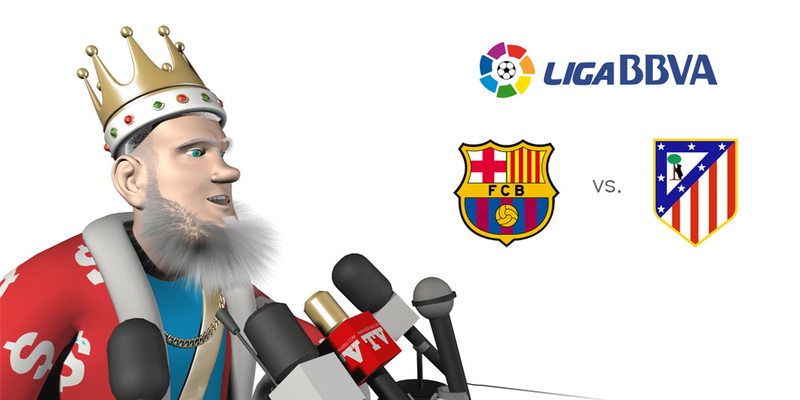 The upcoming match is a pretty big deal in Spanish football and could prove to be decisive in this season's title race. Barcelona and Atletico both have 48 points at the moment, 4 points more than third place Real Madrid. Barcelona also have a game in hand, vs. Sporting Gijon, who have been in the relegation zone for most of the season. Barca did not impress in their last league game away to Malaga and have Lionel Messi to thank for their 1:2 victory. The Catalans have since played a Spanish Cup game vs. Athletic, which they won with the score of 3:1. Atletico Madrid are having a tough time scoring lately, but in the same time they have conceded only 8 goals this entire season, which is by far the best defensive record in the league. Antoine Griezmann and his teammates will want to forget their last couple of games, a 0-0 draw at Sevilla in the league and a 2-3 home loss to Celta Vigo in the cup. Barcelona are the clear favourites to win the Saturday's match at home and create some distance at the top of the table. Is this the part of the season when Messi, Suarez and Neymar switch into a higher gear and decide the league, or will Atletico find a way to make things interesting? The kick-off is at 4pm local time. Also featuring this weekend - AC Milan host Inter, while Real Madrid host Espanyol.